Zoey Dimitrova-Chappell, Marketing Manager, ESET Canada Zoey Dimitrova-Chappell leads the marketing efforts at ESET Canada, one of the world's top cybersecurity companies. 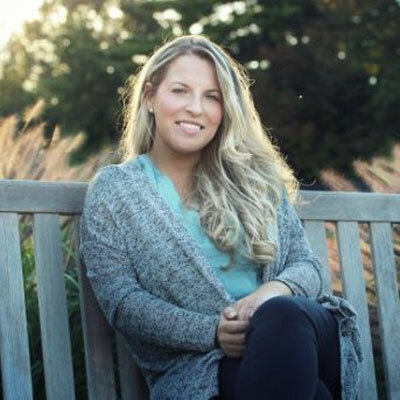 An alum of the tech industry, Zoey has spent the past 10 years driving channel marketing results having worked at industry leading companies including Rogers Communications, Microsoft, and Tech Data. She is a Schulich School of Business grad, BBA '08, and a former competitor on the York Lions varsity tennis team. In her free time, she enjoys playing sports with her husband and exploring new hiking trails. Her goal in work and life is to always deliver results with a smile. Zoey has been instrumental in forging new relationships and sponsorships with channel media to better position ESET, it's programs and product offerings in front of the reseller channel in the Canadian marketplace. She is also responsible for driving national brand awareness, which ultimately makes the channel's job easier when it comes to selling ESET products. One of the major changes she brought to ESET's marketing business was that she brought to market the company's first ever Canadian focused SMB promotion. This impacted the business greatly because SMB size definitions vary between U.S. and Canada, so this offering put Canadian resellers in a more competitive position. Additionally, Zoey implemented the Market Development Fund (MDF) program to help thru partner marketing efforts in Canada, and drive mutual results for ESET and resellers. Continue to elevate mindshare and ESET awareness in Canada through PR opportunities that have impact with partners. Increase ESET's footprint and share of wallet with existing partners by providing training and rewards to enable partners to sell a complete multi-layered ESET solution. Identify and engage partners focused on Enterprise business to build trust and mindshare in support of ESET's goal to move into this segment. Roll out ESET Marketing Center to Canadian partners enabling them to take advantage of full marketing automation capabilities to launch co-branded marketing campaigns complete with lead nurture and prospect tracking. Zoey won ESET Canada Employee of the Quarter for her work in building the ESET brand in Canada through a multi-faceted marketing approach, including the Rogers Cup sponsorship, which received global recognition from the company. Zoey spoke at the Women in Leadership (WIL) Association Panel at the Schulich School of Business. She discussed her personal and professional development, providing WIL members with a diverse outlook into the successes of Schulich graduates from various industries. Zoey helped secure the ESET Canada team the following four Reseller Choice Awards: Best Overall Security Vendor, Best Anti-Span, Best Anti-Virus, Best Endpoint Security. Petra Kvitova, Professional Tennis Player. She is a two-time Wimbledon Champion and six-time WTA Karen Krantzcke Sportsmanship Award winner. Kvitova was the victim of a home invasion in 2016, suffering a knife attack in her playing hand, causing tendon and nerve injuries. She made a comeback in just six months and won her first competitive match back at the French Open. What inspires Zoey about Petra is that she's always been able to bring her A-game without compromise. She has both character and capability, and that is what Zoey aims to bring to her role each day. Don't take yourself too seriously. Zoey knew exactly which university she wanted to attend (Schulich), what she wanted to study (Business), and started work as soon as she possibly could. Looking back, that came at the expense of missing out on some experiences that only a person at that age can truly appreciate. There's a whole lifetime to be an adult. While feeling as though she's a good presenter in person, one of the skills Zoey would like to improve upon is being just as comfortable presenting in front of a camera. One of the things she enjoys most about her role and currently excels at is helping to tell the ESET story. By improving her on-camera skills, Zoey could take her storytelling to the next level and impact an even bigger audience. TB12 by Tom Brady. Yes, it features various exercises, but the main context of this book is how to sustain peak performance throughout and deep into your career. This idea is clearly relevant when discussing a football player's career, but interestingly some of the theories can be applied in the office as well. It's about staying on top of your game by being relevant, being productive, making the most of what works for you and incorporating balance and moderation in all things.